Triathlons are a grueling endurance sport and one that leaves even the toughest athletes feeling battered and bruised by the time they reach the finish line. ​The countless hours that people spend training and competing in these events means that their bodies are more prone to certain injuries and conditions, and it’s something that most people accept as part of the game. While it’s true that many triathletes will suffer from injury at one point or another in their career, it doesn’t mean it has to be an ongoing thing. Most of the common injuries associated with this sport can be prevented with a little bit of preparation and the right gear, and we’ve compiled a list that can help you work through each of them and prevent further injury in the future. Most people come away with a triathlon injury or two each year, and while sometimes it might be unavoidable there are certainly a lot of conditions that are. 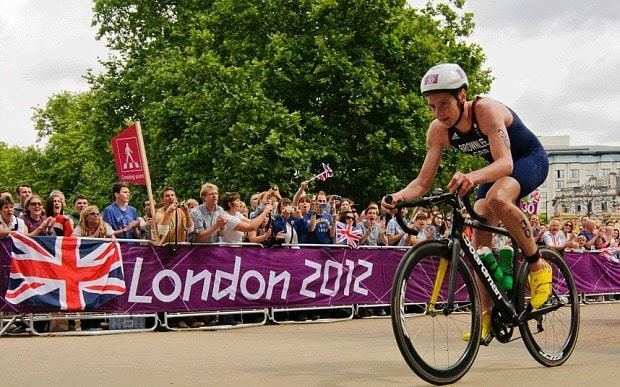 Here are the most common triathlete injuries around and what you can do to prevent them. 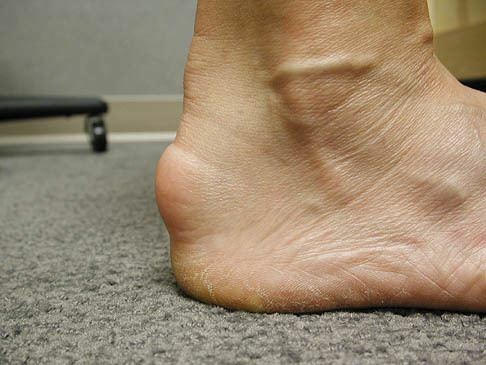 This refers to an inflammation of the Achilles tendon or the covering of it and it’s common among people who run a lot, just like triathletes. Sometimes, competitors feel they’re in a constant hurry and often forget about the importance of stretching for triathletes. Not stretching is one of the leading causes of this injury and so too is a sudden increase in activity, so if it’s been a while since you worked out don’t go too hard getting back into it. Patellar tendonitis is another name for jumper’s knee, and this occurs when you overstress the patella tendon. One of the main reasons that you might suffer from this is running and cycling, and this is a huge part of the triathlete’s training schedule. To avoid this painful condition you’ll need to train at a steady pace, do an effective warm up before running, and training on a mixture of both soft and rigid surfaces. 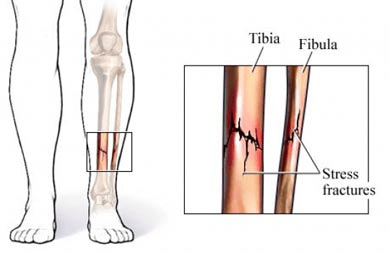 These fractures occur in a few common areas like the tibia, foot or hip. You might notice pain and swelling in the area caused by overuse and not giving yourself enough time to rest between training sessions. Another cause is the sudden increase in activity which can occur when training for a triathlon, so try to slowly increase your workouts. 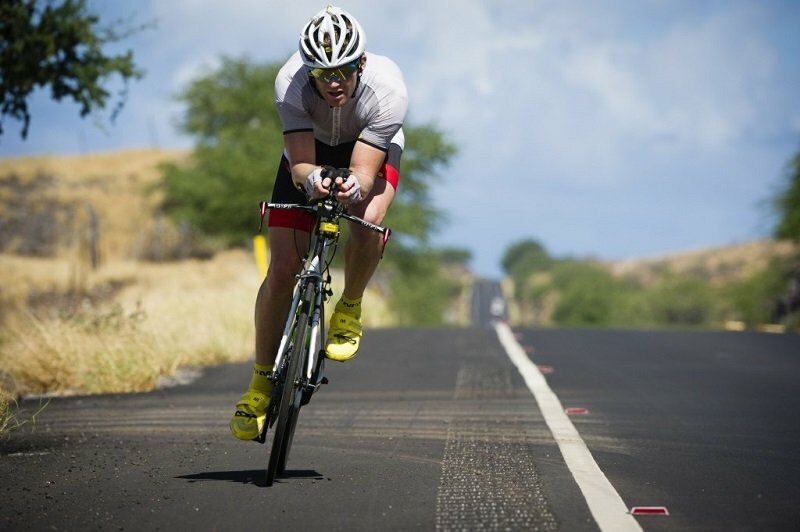 Being on a bike in the natural position means that you’re putting plenty of pressure on your lower back, and because triathletes are known for riding long distances this can end up doing a lot of damage. To prevent lower back pain while riding, it’s best to use an aerodynamic bike position that can allow you to shift as you need and relieve some of this pressure. This is a common affliction for triathletes and it comes especially from the cycling segment of the race. When you’re riding for long periods as you do, your neck begins to carry the weight of your head and eventually finds that it’s too much. This causes tension and stress in your neck. Your shoulders will also feel this stress and tighten up, resulting in a range of problems for your spine. To prevent it, you should speak with an expert about getting the best position on your bike and try to ride with your shoulders relaxed. With a lot of these health problems being related to cycling, something as simple as adding aero bars to your road bike can have a huge effect. Road bikes that have aero bars come with two positions, when you’re using them and when you’re not, so the constant change between them allows your body a break. In addition to the adaptability you have in your positioning, aero bars can also provide much-needed comfort and support from road shock. When riding long distances it’s helpful to have cushioned support for your elbows and arms which a quality set of aero bar pads can provide. 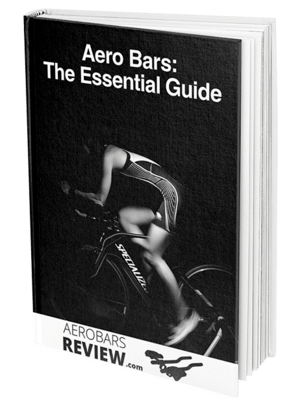 Aero bars need to be good quality and fitted correctly in order to provide any health benefits or prevent you from injury. Otherwise, you’ll find that they bring on their own set of injuries due to the incorrect use and improper positioning they put you in as you ride. The entire aim of a triathlon is to compete at a steady and consistent pace, and that’s exactly the approach we have to take with exercise. It appears that most issues come about due to overuse or a sudden and dramatic increase in how much exercise we’re doing, so you really need to carefully plan your training calendar and give yourself time to build up to the main event. One area that many athletes suffer with is the recovery period, as they want to get back out and into their next training session as soon as they can. Our bodies need time to recover and regenerate themselves otherwise the repetitive strain put on them will ultimately lead to damage. There are plenty of preventive measures we can take to avoid these injuries including stretching, triathlete massage, warm-ups, the right gear, and even visits to a health professional for regular check-ups. If you plan on competing in triathlons for a long time, you’ll need your body to be in perfect working order to do so, and avoiding these injuries is the best way to ensure it is.